2. In src folder, create a Java class file and enter the following code. 3. 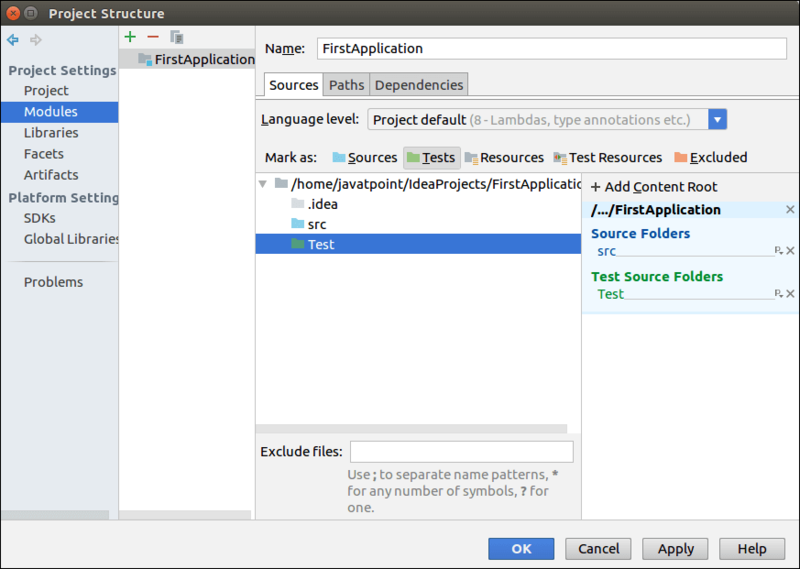 Create a New Directory with name Test to perform Unit Testing. 4. Now our Project Structure will look like this. 5. Go to File->Project Structure->Module. A new window screen will open. 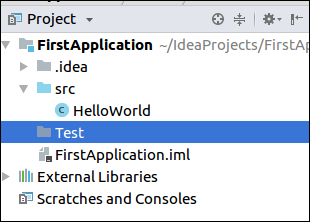 Select the Test Directory in the Source menu to perform testing and then click Ok button. 6. Go to Navigate->Test. A Dialog box will appear. 7. Click Create New Test. A new window will open. Fill the details as given in the window. Click Ok Button. 8. 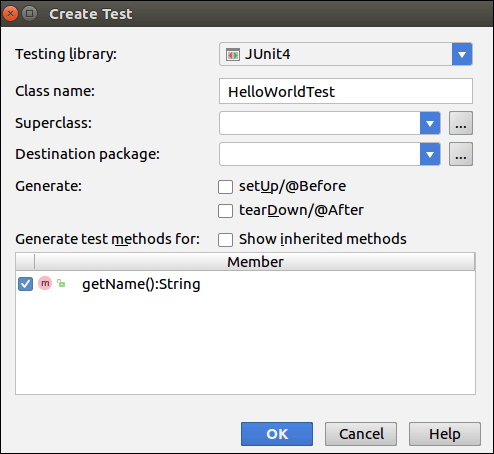 New HelloWorldTest.java file will open. In this File, we have to type the following code. 9. Now Click Run. We can see the result generated in the bottom of the Editor.